A Trump campaign tale that never made it into the papers... Jason Miller was excited. 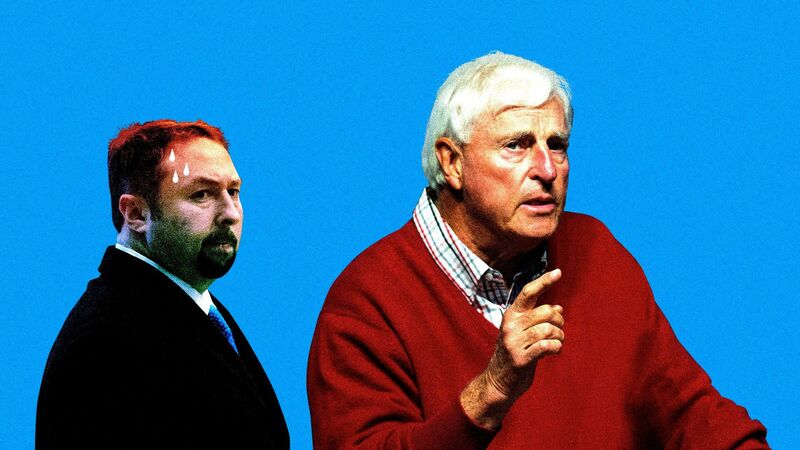 The legendary college basketball coach Bobby Knight was visiting Trump Tower and the campaign's senior communications adviser thought it would be a great opportunity to get Knight in front of the beleaguered Trump team for one of Knight's inspirational halftime talks. "I'm telling you," Knight continued, "people don't understand the wall and you've got to stop talking about the wall. Trump's gonna win. But you've got to stop talking about the wall. Miller appeared befuddled. "Jason was like, 'Uh, thanks for that coach. Alright everybody, let's get back to work'," the source recalled. Then everybody returned to their desks for another day in an office that often resembled The Office.